I really have no excuse for not having done a show report of XFi before, but rest assured that this installment marks the start of a yearly recurring series! 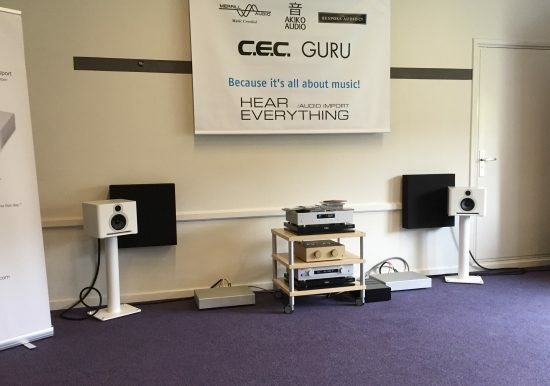 XFi in Veldhoven is a long time favorite audio show for me. 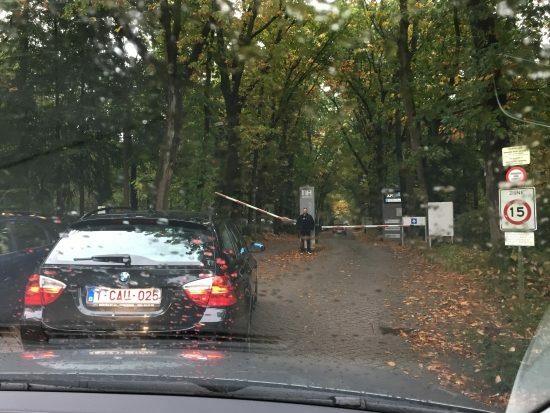 The show is situated near Eindhoven in the south of the Netherlands. The best thing about going South in the Netherlands for me always is the general sense of being a little bit on holiday. In general, I feel that the nearer you get to Belgium, the higher are the levels of hospitality, and food and beer tend to be at more Burgundian levels. At this time of year, it can be sunny or rainy, you never know. Last year was terrace-inviting-sunny but this year alas it was a little raining. Then again, that’s perfect audio weather for me. But no matter what, being in Veldhoven always instills the right mood. This write-up is not meant to present total coverage, just to highlight some of the systems that appealed to me personally. Links and more info will be added later but for now, I wanted to post this ASAP. The autumny entrance of the NH Hotel where XFi exhibits. 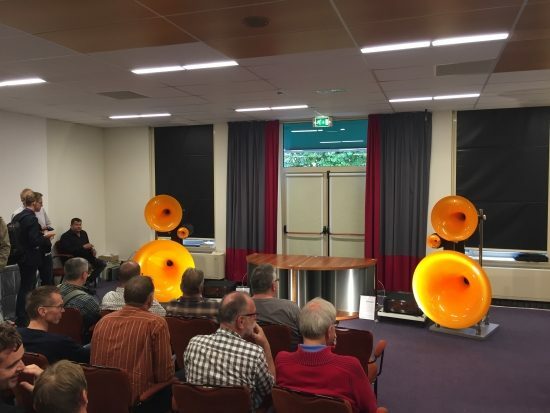 But hey, it’s Veldhoven, so the mood is set no matter what! 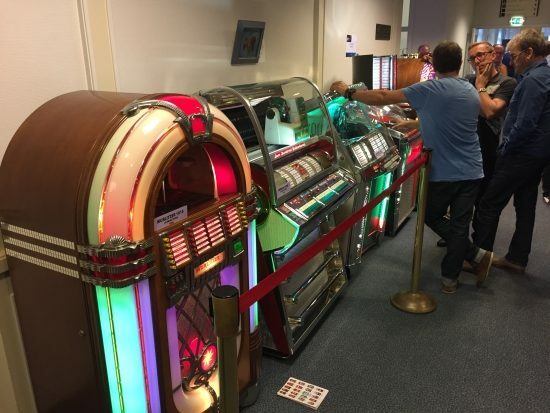 First time exposing on XFi: Jukeboxes! Bennies Fifties from Scheveningen had several restored models from the 50’s and 60’s on show and even brand new models. 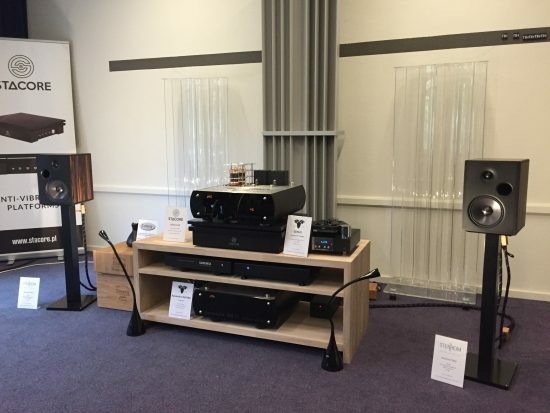 Chattelin Audio Systems had a very nice system set up: Wilson Yvette (courtesy of distributor Reference Sounds) with Soulution and Zanden. 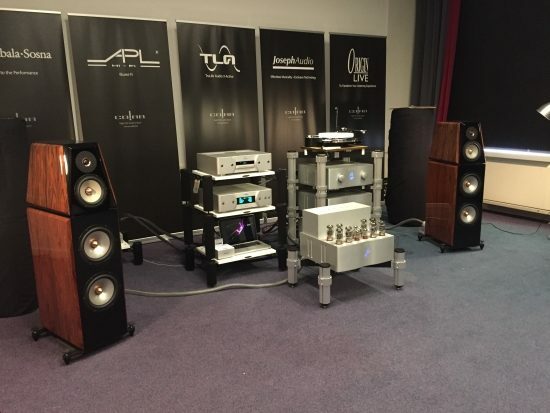 When we listened to this system, the Soulutions were playing. 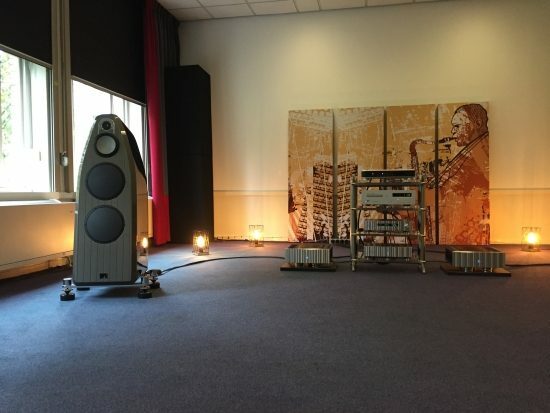 The room was perhaps a bit overly damped and the soundstage was not particularly wide likely because of this, but the sound was engaging and very well balanced and there were definitely no room modes. Most impressive were dynamics and bass. This was a very powerful, tight and propulsive sound with very natural timbre and none of the hard treble that could plague some older Wilsons. 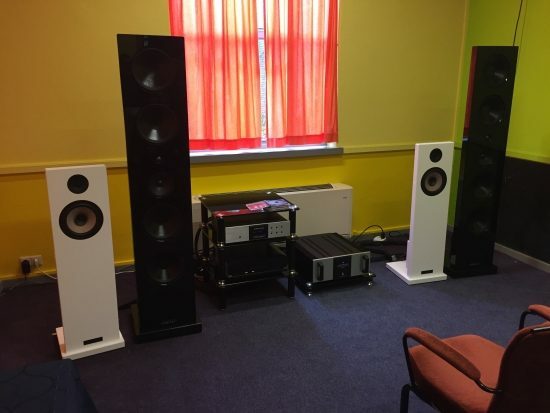 Distributor Reference Sounds showed another set of Wilsons in another room, and these I can actually almost afford. Well, not really, but these Sabrinas are Wilson’s new entry-level model. I really dig their orange color, and their sound too! 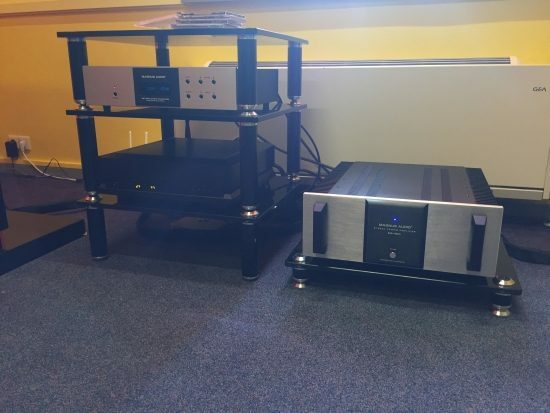 Playing with a Mark Levinson 585 integrated amp and 519 Media Player and connected with Transparent Cable throughout, this system sounded full-bodied, smooth and relaxed yet nicely nimble and dynamic. I asked Michael if I could do a review and it looks like this may indeed materialize. The small Gurus in the Hear Everything room sounded surprisingly large and sonorous. It’s amazing the amount of bass that comes from these very small speakers. The front end was a CEC transport and DAC and the speakers were driven by Merrill Audio Veritas monos. 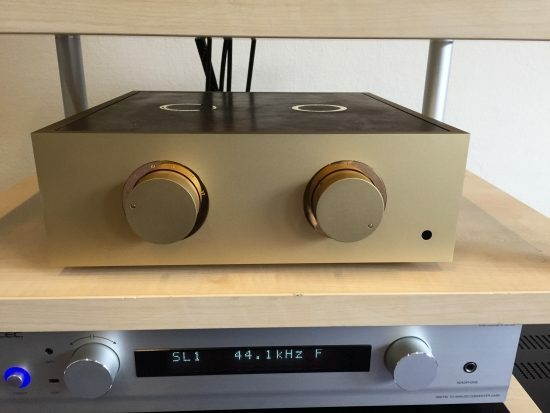 The preamp was a very beautiful passive transformer based product by The Bespoke Audio Company, who make only one product, but a marvelous one at it. I mean: look at it: isn’t this Luxurious! Joseph Audio speakers never fail to stir me emotionally, and this demo courtesy of Colab was no different. 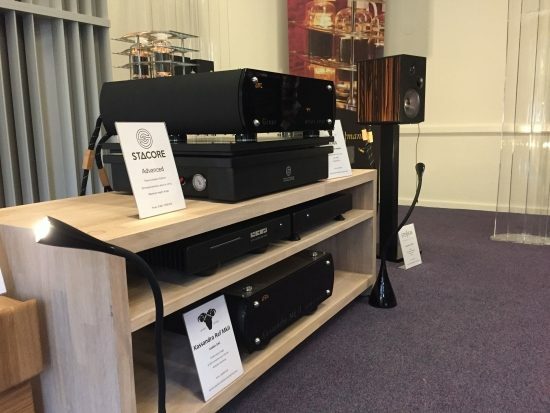 Smooth, lush and utterly effortless was the sound of this system consisting of APL sources with preamp, power amp, line conditioner and phono stage from the greek brand TruLife Audio. 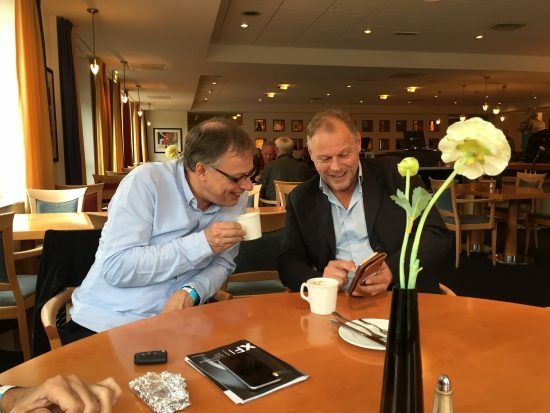 “Of course this sounds great”, JW and JC said: there were tubes in the system! Now, this was an interesting system too. 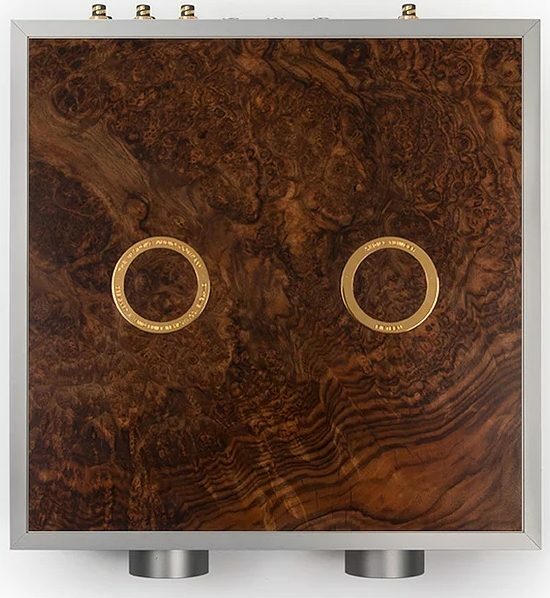 Comprised of classic Klipsch speakers playing music from a VortexBox music server, amplified by a large transistor power amp (I tried to photograph it but the room was too dark), the sound was, while perhaps not 100% uncoloured, entirely engaging and satisfying. 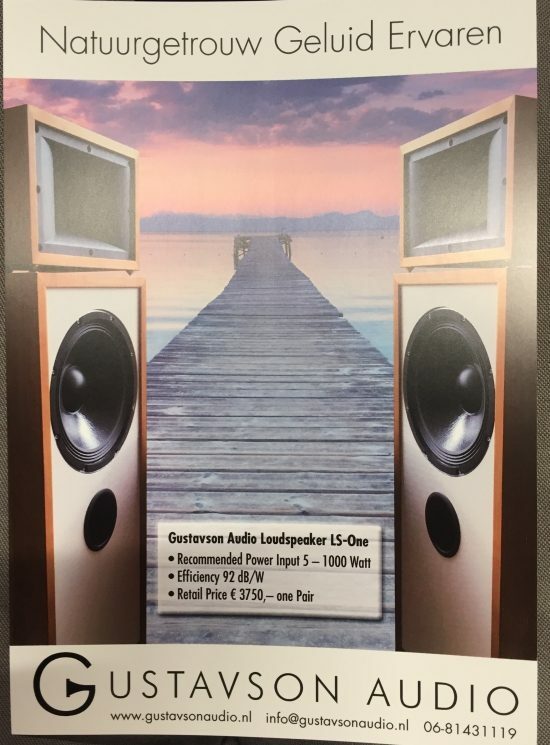 Ah yes, Vivid Audio. Another brand that’s on my desired-but-unattainable list. 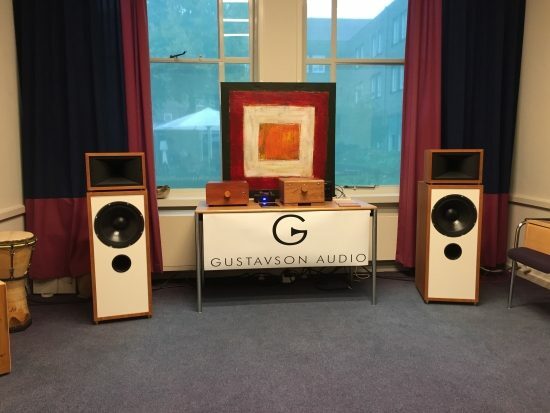 These are the new Giya G4 courtesy of Terrason Audio, with stiffer cabinets than the original Giya G4’s. 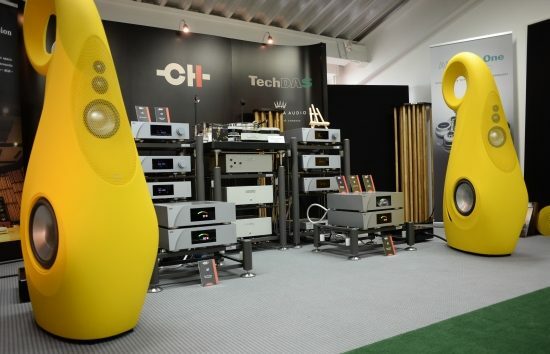 This room’s main focus was on the new banana-yellow G1 Spirit, but as I had already heard them at a personal dealer demo, I was more focused on these small beauties and forgot to take pictures of the G1’s. The guys at Terrason Audio promised me I could do a review on the new G3 when it appears on the market and I can’t wait! 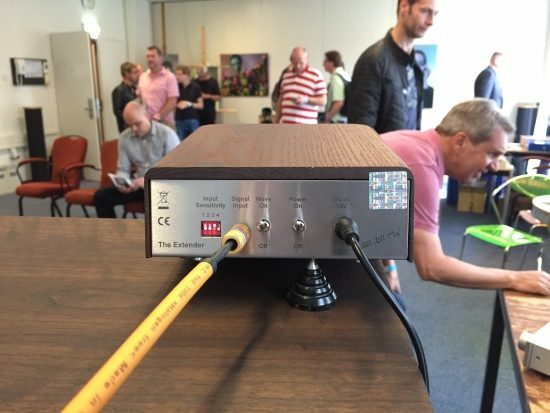 Below is an image of the G1 that I took earlier at the Munich Audio Show. Refreshingly, van den Hul is always a little different from the norm. 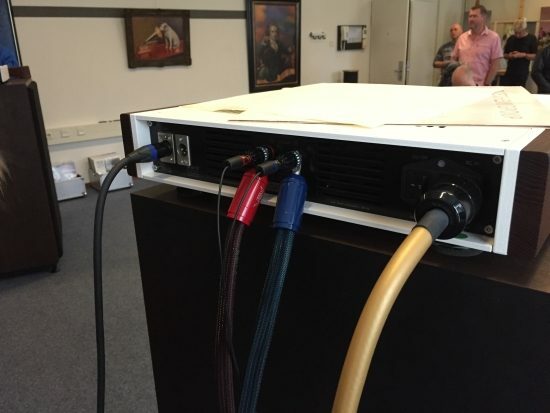 He demoed with very large Blumenhofers (model unknown to me), his own amps and a special little audio device called “The Extender” that connects in parallel with the speaker wires. The device can be switched on and off, and trust me: after having heard it on, you won’t want to switch it off again! 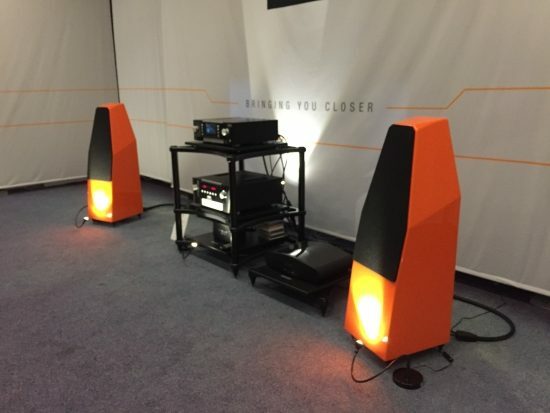 The Extender added more fluidity and air to the sound, making for a more ethereal experience that has to be heard. AvantGardes are always good for some eardrum pounding, preferably using music by Yello. This demo was no different. 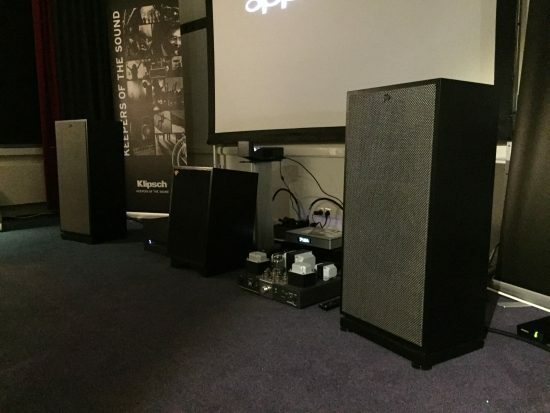 The Trios really are very good speakers though, especially with the big bass horns. The sound is very coherent, dynamic and spot-on, and highly engaging. 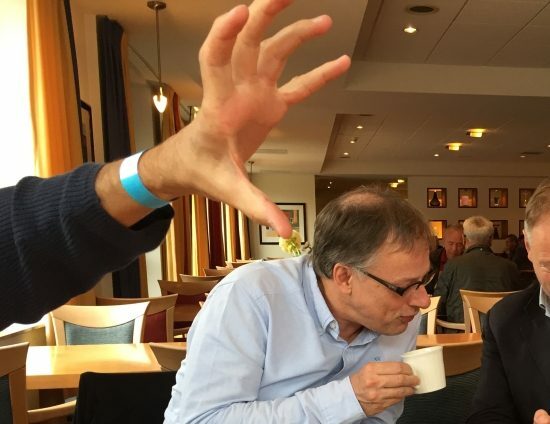 Trouble is, once you get used to this kind of dynamics, all other systems start to sound a little dull… I escaped in time, but JW and MP stayed a little too long and while MP was suitably impressed, JW came out of the room looking rather flustered! 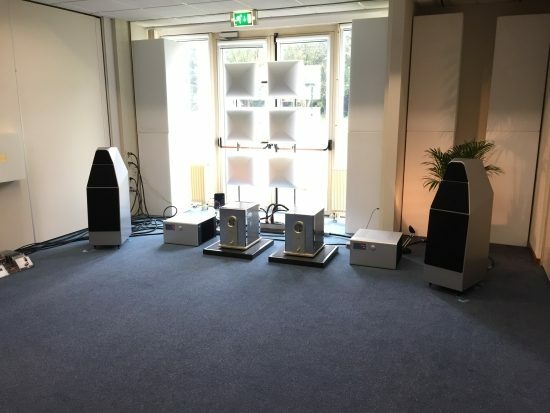 HVP Audio showcased a system comprised of Marten Coltrane 3, Jorma Statement / Prime cables, Stillpoints, Jeff Rowland Corus, PSU, and 725 monos, a Luxman CD transport and the Analog Domain DAC1. The sound was very transparent, precise and airy. 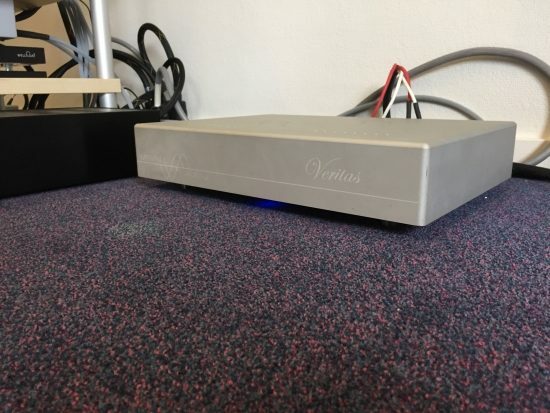 Hans mentioned that the Analog Domain is a very special DAC so maybe I can convince him to let me do a review on it. Ultisone had an interesting setup. 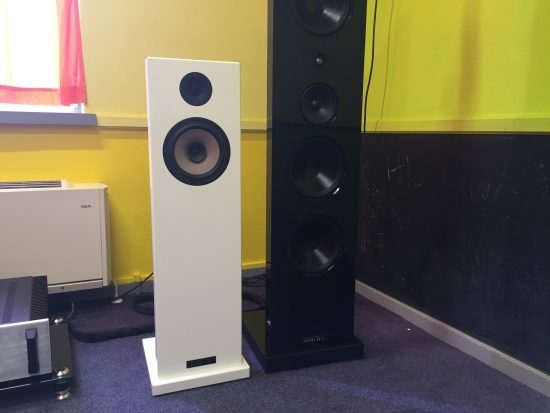 With the 432 EVO music server and Aries Cerat amps, these little Stenheim speakers sounded incredibly dynamic and lively, if not reaching very low down there, which is fair given their very modest size but perhaps not when considering their hefty price 12,5K tag. JW and JC were convinced that the dynamics in this room were so good because of the tubes and given recent experience with other SET amps, I have to say that I think this is at least partially true. 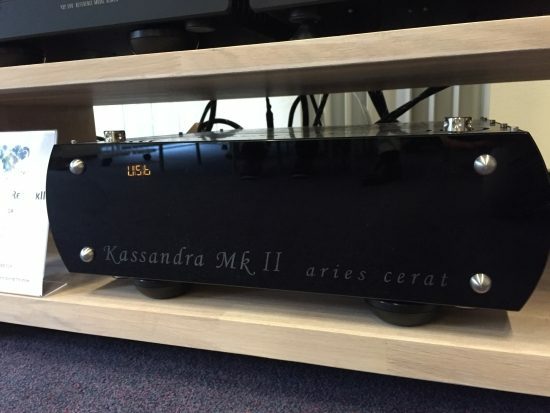 Aries Cerat Genus integrated SET amp. 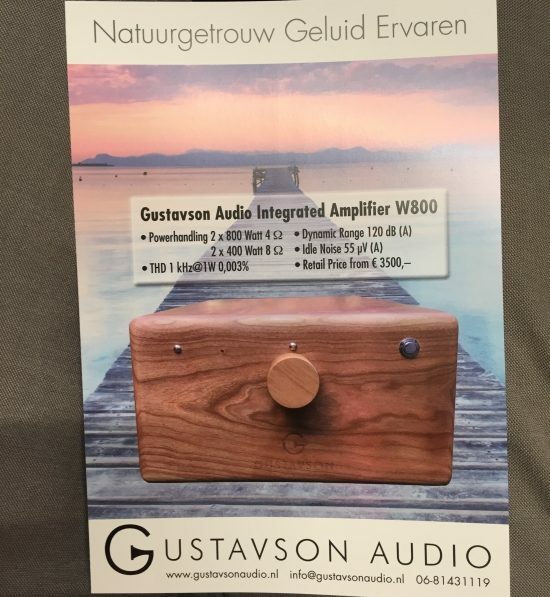 Gustavson is a new brand for me, but they deserve some extra attention because these components provide very natural sound at very affordable prices. 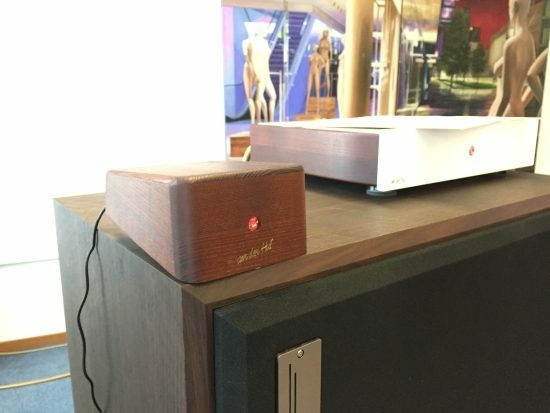 Not unlike the Klipsch system mentioned earlier, these speakers sound immediately appealing and relaxed yet highly engaging, but more transparent and less colored. 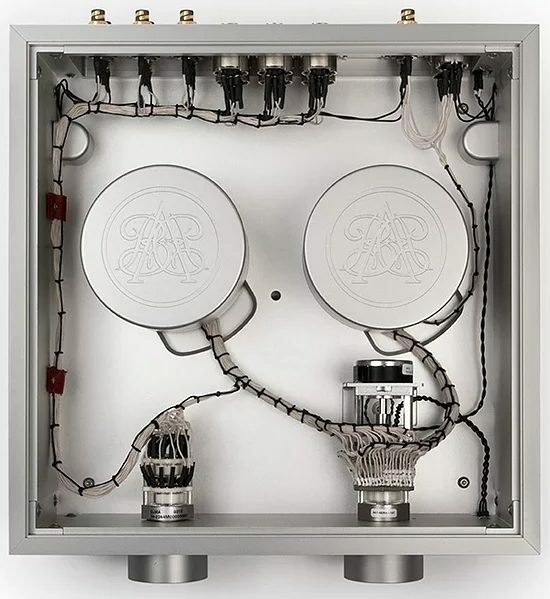 I’d swear that there were tubes in the system, but given the amp’s specs, I don’t think there are. 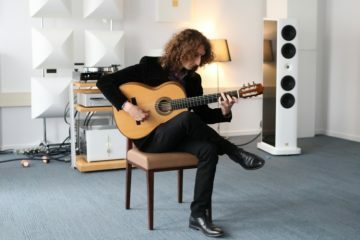 The manufacturer does not provide much info on this, but any amp doubling 400 watts into 800 watts at half the impedance is not likely to be tube based, but probably Class D. The room was a little difficult and the speakers really only sounded perfect when seated smack in the middle, but then, they really delivered. So, if you heard then but thought something was wrong with the bass, go give them another listen. 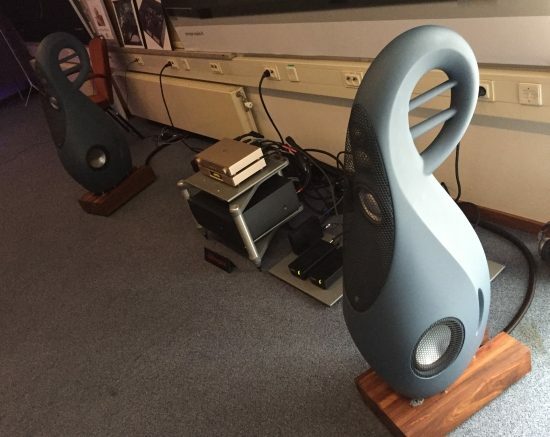 This was a real surprise: free-flowing sound with super-deep bass, from two wall-mounted slabs! These were two Alaŭdo systems (Alosa and Alauda) and only one played at a time. 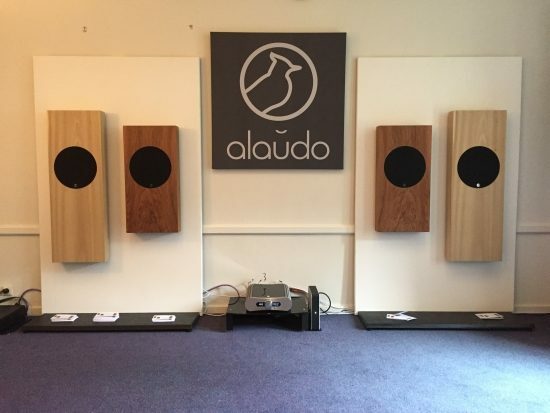 I only heard the larger Alauda models, and have to say that they sound impressively natural and engaging. There is no chestiness or congestion at all, instead, there is wide soundstaging as if listening to stand-mounted speakers. 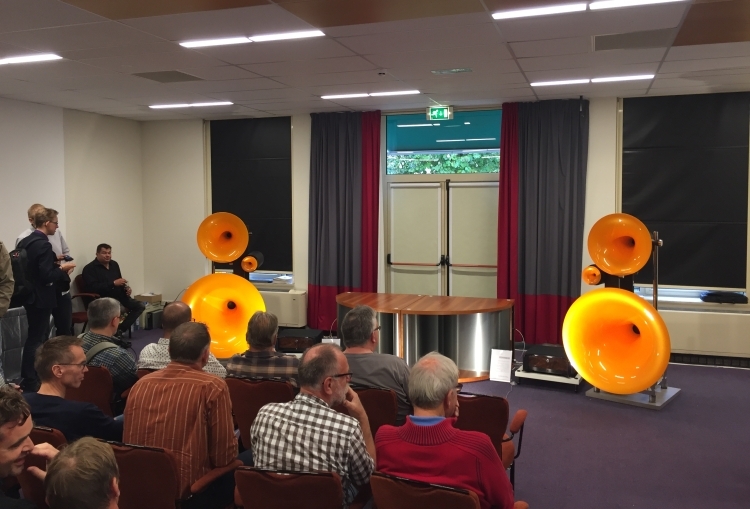 As the exhibitor explained, the speakers may look small but they still have a large internal volume, which explains the impressive bass. 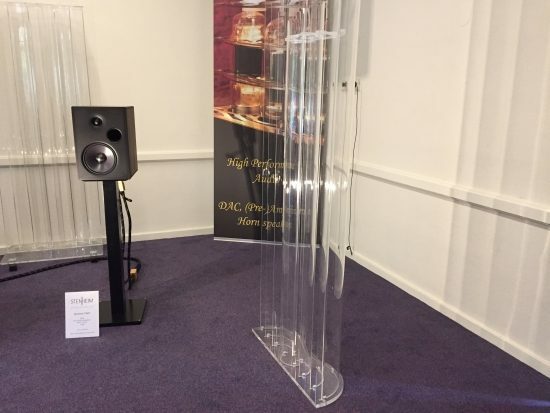 Zegers Music Innovations showed two open baffle speakers that produced highly natural and uncolored sound. 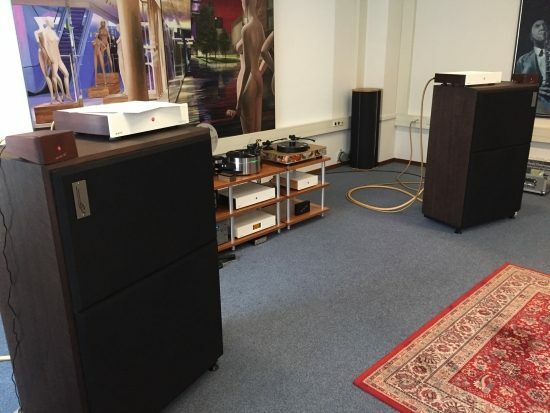 Just like big ribbon dipoles such as those from Apogee, there are no cabinets, and so also no cabinet sound at all, only effortless and free-flowing sound. Bass was deep and decidedly non-boxy. Some notes were a little zoomy at times but I think this can be ascribed to room modes. 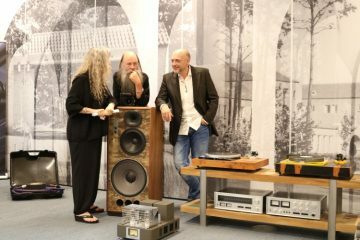 The speakers were driven by a TAD TAD-D1000 CD player and a Magnus Audio pre- and power amp combo. All cables were by Tellurium Q. 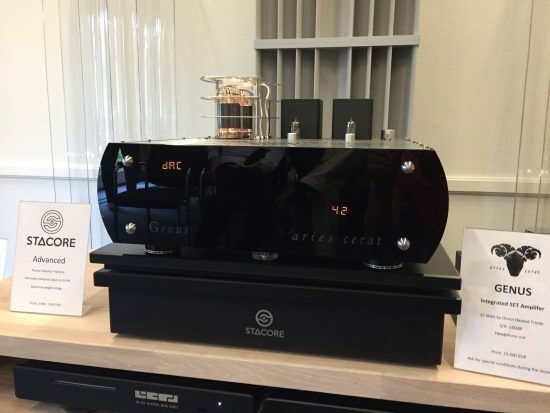 While the larger Cephei 20.2 had a fuller tonality and even more bass, the smaller Cephei 5.05 really took my fancy for their smoother treble and overall well-balanced sound. Think open baffle speakers cannot have bass? Think again! So far for this report. I wish I had more to tell but the day really flew by. 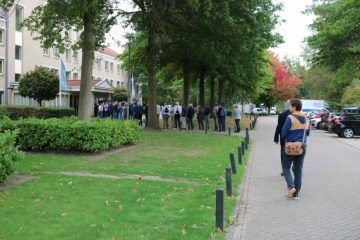 Oh, and since the Belgian beers at the show had made us hungry, we drove a little more Eastward to Nijmegen to visit restaurant Claudius for some nice steaks to top off a really nice day in Veldhoven. They really grill some of the best USDA and Wagyu steaks in the Netherlands. Until next time!